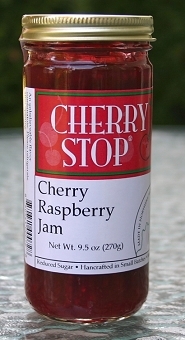 We have created a line of jams, salsas, BBQ sauces, dessert toppings, etc. that is second to none. Our recipes are bold yet simple. Original and honest. And always crafted with Michigan-grown fruits and sugar. For those who demand proof, they need only lift a spoon. One taste is enough...a flavor bursting with fresh fruit. A taste that never hides behind sugar or heavy spice. The fruit always comes through, boldly and honestly. 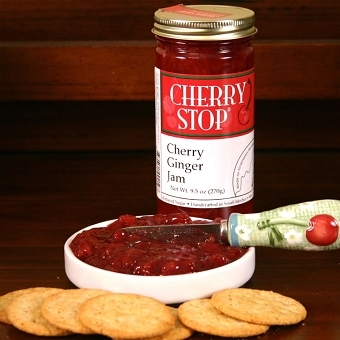 Our goal at the Cherry Stop is to create premium artisan foods that you love to eat, and give as gifts to your friends and colleagues. 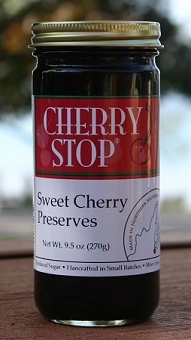 Cherry Stop offers premium cherry products created in our Traverse City, Michigan facility. Our gourmet jams are low in sugar and packed with fruit. Cherries are a very versatile fruit and can be used in just about any dish you can dream up. 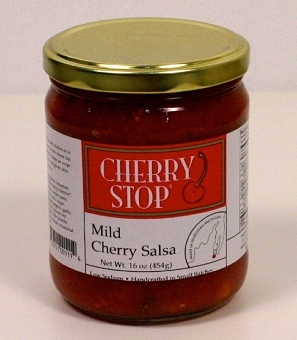 Try our cherry salsas, cherry barbecue sauces, vinaigrettes and sauces, as well as dessert toppings and sauces, and see for yourself how much cherries can be enjoyed from the beginning to the end of a meal. Enjoy our dried cherries in salads, cookies, brownies, cocktail meatballs, potato salad, oatmeal, scones, pancakes and muffins.